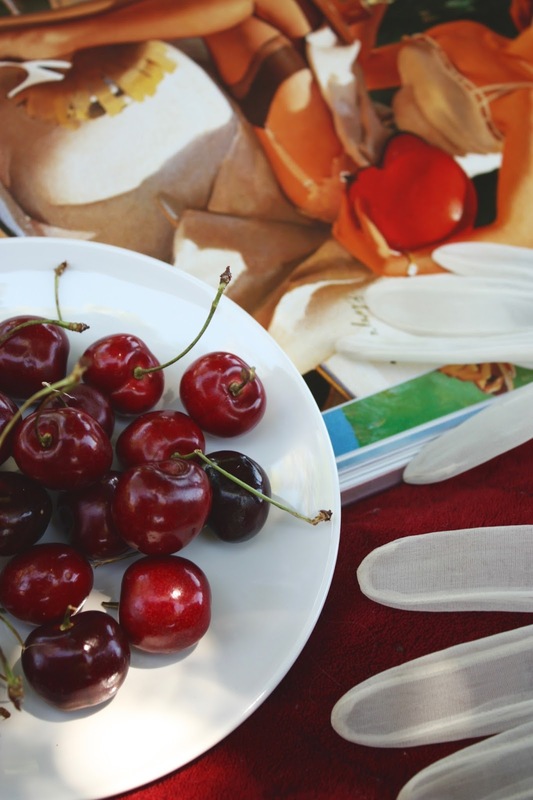 It's Cherry Season, & the best way to celebrate is to wear a Retro Cherry Dress & have a Picnic! Speaking of Cherry Print Dresses this show stopping wiggle is a Modern Reproduction of a style that Blonde Bombshell Marilyn Monroe wore in the 1961 Film "The Misfits". The Ava Retro Cherry Pencil dress is the perfect wiggle to make heads turn, I felt like a Dan DeCarlo Pin Up in this bold print. The Ava Dress from The Pretty Dress Company fits like a glove, it hugs your curves in all the right places, & it shows just enough skin; definitely Marilyn approved. The Ava Pencil is becoming one of my favorite styles to wear, with built in lining & their signature shoulder bow detail, it's easy to fall in love with. The front & back features a "V" Neckline, & the pencil skirt is perfectly tailored. 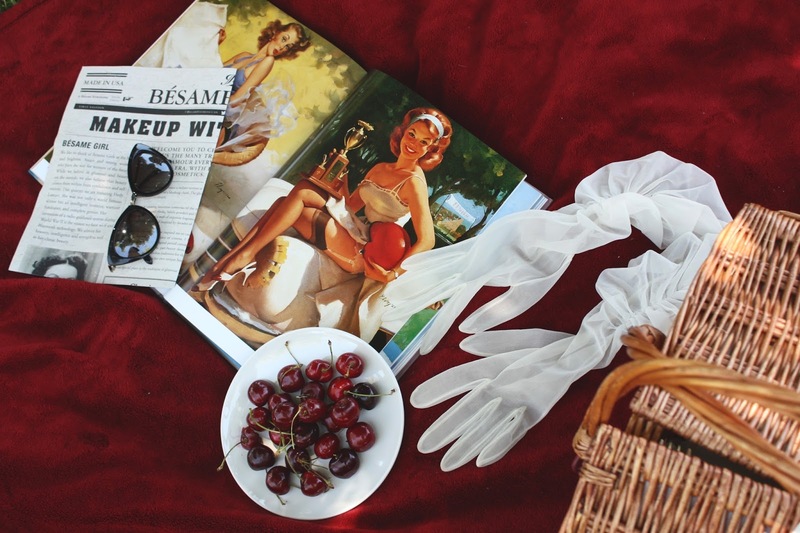 I recently received Besame Cosmetics 1935 Cherry Red Lipstick, a Deep Rich Red that resembles Cherry Stained lips. Their lipsticks are long lasting & moisturizing, keeping your lips soft to the touch. My current must haves from their Glamorous Collection are the Cashmere Foundation Sticks "Bisque", Cream Rouge Blush "Crimson", & all of their Red Lipsticks; you can never have to many red lipsticks. Their Cashmere Sticks are creamy, lightweight, matte, & offer a build able coverage, leaving your skin smooth & flawless. When I apply my Besame products I feel & look like a 1940s Starlet.